Lori Hope is a journalist, Emmy-winning documentary filmmaker, and speaker. A tireless advocate for those struggling with the social and interpersonal challenges that come with cancer, she has served on the board of the Bonnie J. Addario Lung Cancer Foundation, has volunteered for The Lung Cancer Alliance and the National Lung Cancer Partnership, and has spoken before the American Cancer Society, the Oncology Nursing Society, and Tulane Medical School. 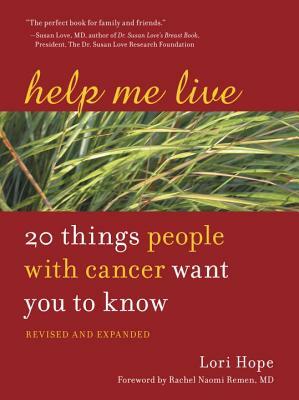 Her commitment to cancer survivors will continue until this book is no longer needed. Visit www.lorihope.com.